Mushroom Marsala Soup is created with fresh ingredients for the best flavor. Rosemary, thyme and a splash of dry Marsala wine enhance the earthy elements of baby portobello mushrooms. 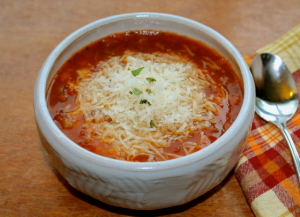 This easy pressure cooker mushroom soup recipe is perfect comfort food for a chilly night. 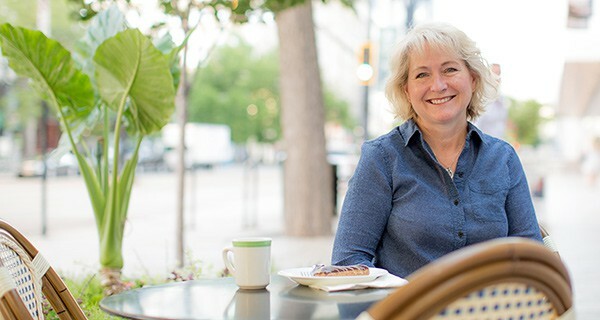 Hello everyone, Connie Murray here from the Happy Belly Foodie. Thanks for having me Barbara and thank you for stopping by! I’m pleased to bring you my latest from-scratch recipe. Adapted for the pressure cooker, this gorgeous soup will be a favorite for mushroom fans. The smooth texture and creamy finish give it a delightful richness you’re going to love. An Instant Pot is one of the most popular brands of electric pressure cookers. They are easy to use and your Instant Pot can help you create this delicious Mushroom Marsala Soup recipe! The first time I had Mushroom Marsala soup was in a little Italian restaurant located right here in my Kentucky hometown. That was years ago and sadly the restaurant no longer exists. Heartbroken to see it go, I had to make my own version and I’ve been making it ever since. Take a look at how I’ve converted it for the pressure cooker. used to blend the cooked ingredients is a big help, too. 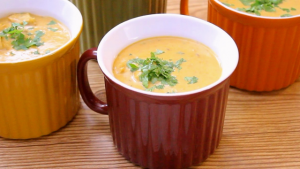 Rather than transferring hot soup to a blender or food processor, simply blend in the same pot. 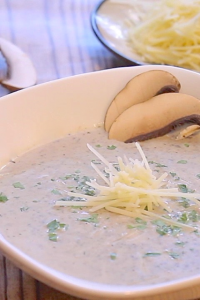 Each component layered into a bowl of this creamy, Pressure Cooker Mushroom Marsala Soup are meant to charm the palate. The key notes that give it a distinct savory warmth are the dry Marsala wine and fresh rosemary. Enjoy this dish as a perfect starter for your dinner or simply serve with a freshly baked chunk of crusty bread for a smaller meal. 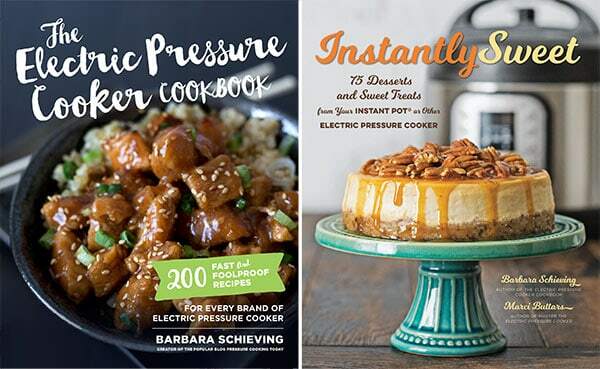 Either way, I’m pretty sure it will be on your list of treasured pressure cooker recipes. Preheat the pressure cooker. Melt 2 tablespoons butter. Add the onion and one teaspoon salt. Sauté for two minutes. Add the mushrooms, garlic and pepper. Sauté until the mushrooms begin to release their moisture. Add Marsala wine and sauté 2 minutes. Add chicken stock, rosemary, and thyme. Place the lid on and turn to locked position. Turn the steam release valve to sealing. Select high pressure and 3 minutes cook time. While the mixture is cooking, melt 2 tablespoons butter in a sauté pan over medium-high heat. Whisk in 2 tablespoons of flour a little at a time until incorporated. Cook one minute, remove from heat and set aside. When the timer beeps, use a quick pressure release. Remove the lid, press the sauté button and allow the mixture to come to a boil. Stir in the butter and flour mixture and boil for 2 minutes. Turn off pressure cooker, and use an immersion blender to blend the mixture smooth. Stir in the cream and ladle the soup into serving bowls. Garnish with fresh slices of Portobello mushrooms, freshly grated Parmesan and chopped parsley. * Set a couple of the mushrooms aside and slice for garnishing the finished soup. I saved this recipe to my desktop some time ago and finally made it for dinner tonight, using half Portobello and half Cremini mushrooms. It was amazing! I make a lot of soups in my house and this one will definitely be making future appearances. I only wish my husband wasn’t out of town so that I could share it with him…but, then again, maybe it’s a good thing that I’ll just have to eat it all myself! Thank you for a wonderful recipe. I could live on Chicken Marsala. 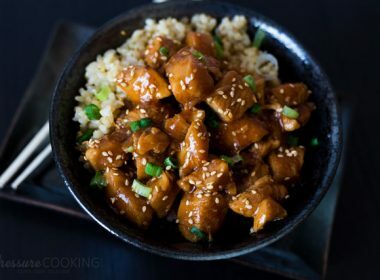 Have you ever added chicken to this great looking recipe? 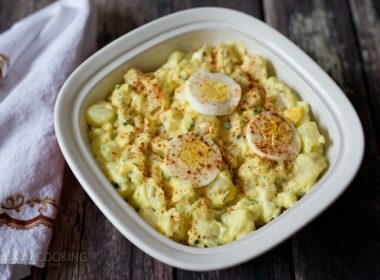 Another knock out recipe! I bought my Power Pressure Cooker XL a week ago and have already made five recipes from your website. This soup was my lunch yesterday. I ended up having a 1 1/2 pound of portabellas and used them all. I wanted to make this a little healthier so I replaced the cream with milk and added and extra tablespoon of flour. With the extra mushrooms the soup was still thick and creamy. Even my picky 16 year old gave it 2 thumbs up! Excellent flavor and will be a staple at our house. Thank you!!! Thanks Rebecca! Sounds like you’re having so much fun. This could not have come at a better time for me! I’m about to have major oral surgery and work on my mouth and have to be on a puree’d and soft food diet for 3 months. This recipe will work beautifully for that! Have you ever substituted coconut milk or cooconut cream for the heavy cream? I have not. However, I don’t think it would be a bad substitute. 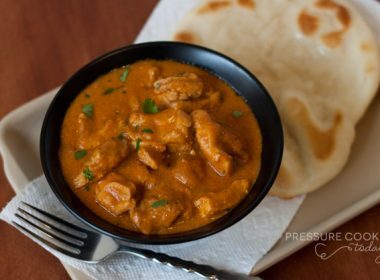 I’m familiar with using coconut milk in my curry and other recipes. I’ve always liked its texture and flavor. I was going to make a different mushroom soup recipe until I saw this one. I had both the Button and Cremini mushrooms so that is what I will be using when I make it later today for dinner and serve with crusty French Bread. I looked mushrooms up on Google and Portabello mushrooms are just a more mature mushroom. 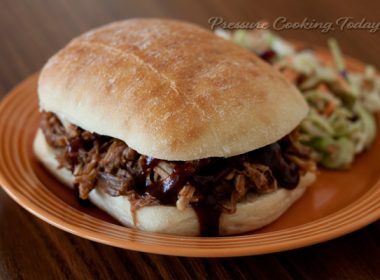 I was so very happy to see this recipe for the pressure cooker – much easier and less time consuming – and oh – so great tasting. Thanks so much for posting it. I can not cook without my pressure cooker. 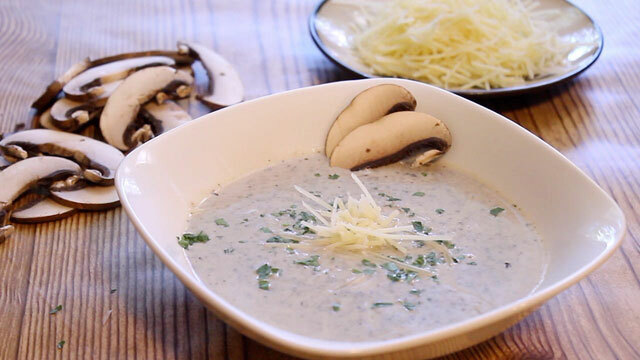 We love mushroom soup around here and this looks delicious. I’m wondering, though, given my husband’s intense dislike for rosemary, can you suggest another herb in its place? I’m not great at mixing herbs and always stick to whatever I’m told to use unless it’s rosemary. I often leave it out but find those dishes often still need that little “something” (rosemary, yes! but no!). Hi Ellie, thank you. You could use a 1/2 teaspoon of dried oregano and 1/2 teaspoon of basil. Of course, it won’t have the same woodsy flavor as rosemary but it’ll have a nice aroma and a similar brightness. Thanks for the suggestions, I’ll try the oregano and basil. 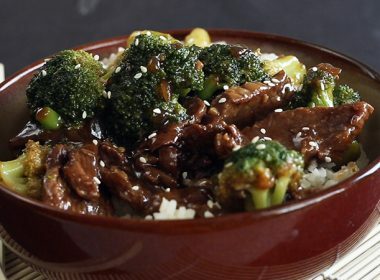 This is on next week’s menu and I am so looking forward to a big bowl! This looks so good and warming on a chilly day like today. My hubby will love this. your healthy cooking style is so refreshing. Connie, This mushroom soup looks absolutely amazing. Mushroom soup is one of my favorite soups, I’ve pinned this one for future reference. I will be giving this a try. Thanks for another wonderful recipe. Thanks Sam! I’m pretty sure you’ll like this one a lot!